Every year since having kids, the holiday season sneaks up on me. I go from August to Halloween to New Years in the span of what seems like five minutes. This year, I am vowing to be prepared and give myself more time to help set the magical feeling for my kids I enjoyed so much as a kid- so I’m getting ideas together early and pacing myself instead of having a mad dash in the middle of December. 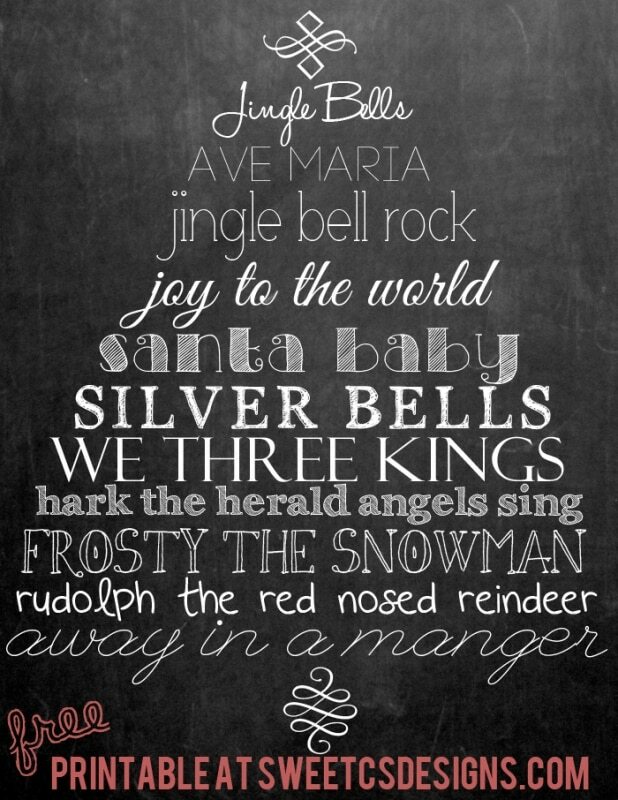 And this year, I want to decorate with more of our favorites without spending much time with fussy ideas- so I made this Christmas Songs Chalk Printable that you can easily pop into a vignette, a frame, or wherever you like to display fun seasonal crafts. 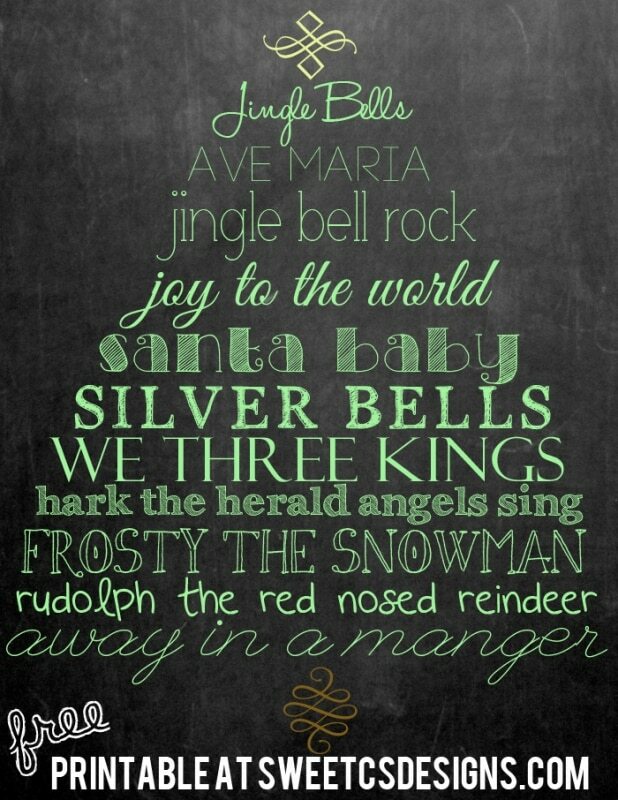 These are some of my alltime favorite Christmas songs- some religious, some just plain fun. It’s like a visual playlist! I made two different designs to help set the stage for you- a lovely white print, and a fun and festive chalky green print. Be sure to click the links below to start your free download.. 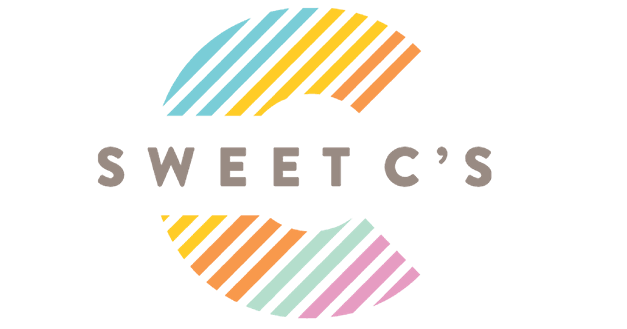 They DO NOT have the “free printable at sweetcsdesigns.com” watermark. If you’d like to share this printable with your friends, please have them visit this page- extra views help me offset the costs of making fun and totally free printables! These are sized at 8 1/2″ x 11″. You might want to scale it down slightly when printing so your printer doesnt clip off any edges. You can also size them down to make a beautiful card! I love the white chalkboard print.